In 2012, a powerful, long-tracked tornado swept through the Polish countryside – causing one fatality. Southern Poland is one of several regions across the world that are occasionally prone to violent tornadoes. □ The United States experiences more violent tornadoes than the rest of the world combined. In spite of this, the atmospheric ingredients needed to form rotating thunderstorms are present across the world. Strong tornadoes have occurred on every continent except Antarctica. Bangladesh has seen more tornado related deaths in the last three decades than the United States, and some of the most violent tornado footage ever recorded has come out of Eastern Europe. Few countries keep meticulous records of severe weather events like the US, so information is limited. With the data available, I have compiled a list of some of the most powerful tornadoes that have occurred outside the United States since 1940. There are two known photographs of the Saroma tornado as it tore a narrow but intense path through a residential area in the Wakasa district. Most tornadoes in Japan form in the outer rainbands of tropical cyclones, though some are spawned within supercell thunderstorms with pronounced hook-echos. On November 7, 2006, an unusual supercell thunderstorm developed over the Japanese island of Hokkaido. A rope-like tornado formed a few miles south of the island’s northern shoreline and tore through two dozen buildings in the Wakasa district of Saroma. Two homes were completely leveled and nine people were killed in the destruction of a two-story pre-fabricated building. Airborne projectiles penetrated the walls and roofs of homes, and cars were thrown more than 30 yards. 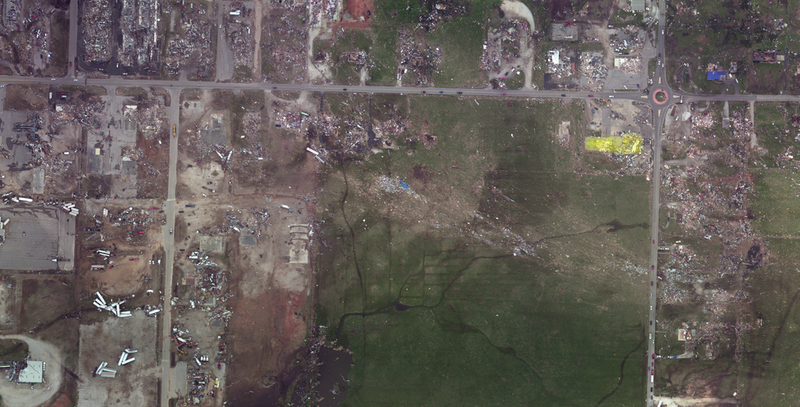 Damage surveys later determined that the tornado was of borderline F2/F3 intensity in the Wakasa district. 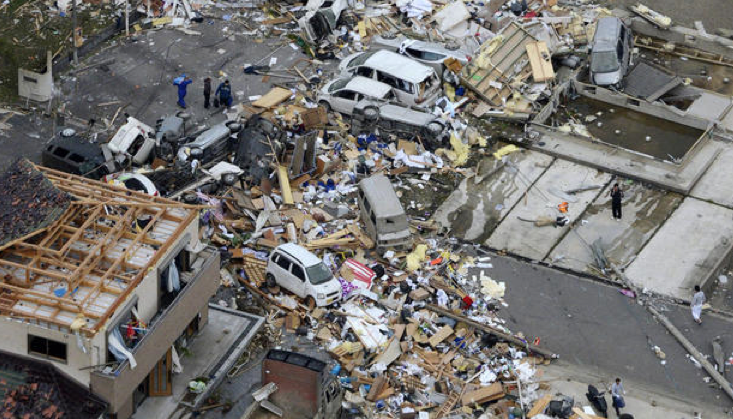 The Saroma tornado remains the deadliest tornado to strike Japan in the past 70 years. 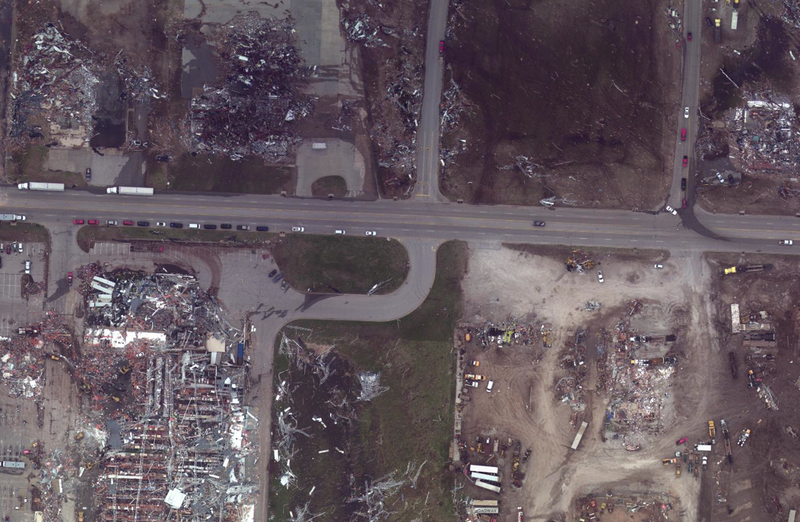 The tornado left a narrow streak of damage through a strip of buildings lining a highway. All nine deaths occurred in the destruction of a large pre-fabricated apartment building (visible at bottom left). Heavy damage in the Wakasa district. Airborne projectiles penetrated buildings and left battering marks on standing structures. 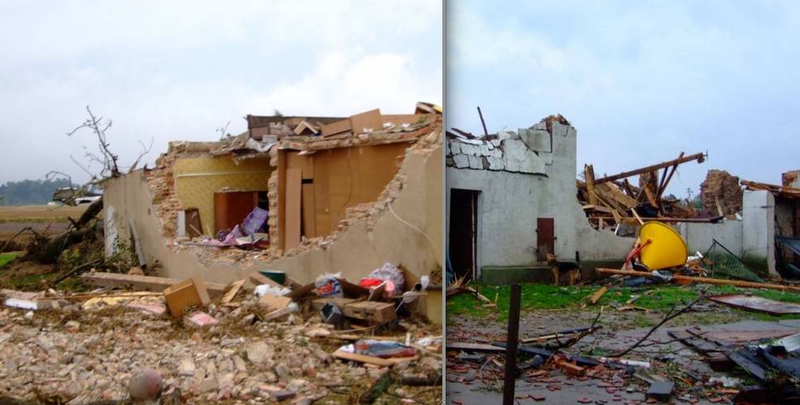 Two views of a mutli-vortex tornado that caused three deaths in Poland in 2008. A dozen tornadoes tore through southern Poland in the summer of 2008. The most significant tornado of the outbreak was a large, multi-vortex storm that travelled over 60 miles. The tornado tore through an agricultural area and destroyed dozens of rural homes, killing three people. Vehicles caught in the tornado’s path were swept off roads and mangled. 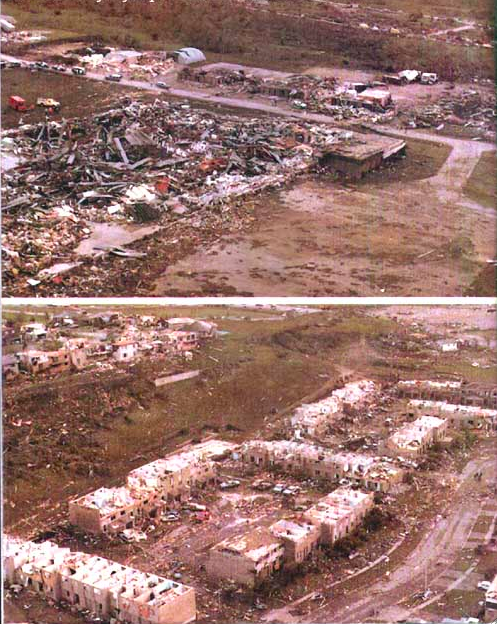 Damage photographs indicate the tornado likely caused damage of low-end F3 intensity, although some unofficial sources cite the tornado as an F4. Geographically, Poland is situated in one of the most tornado prone regions in Europe and is one of the few places outside the United States where large tornadoes occur on a semi-regular basis. 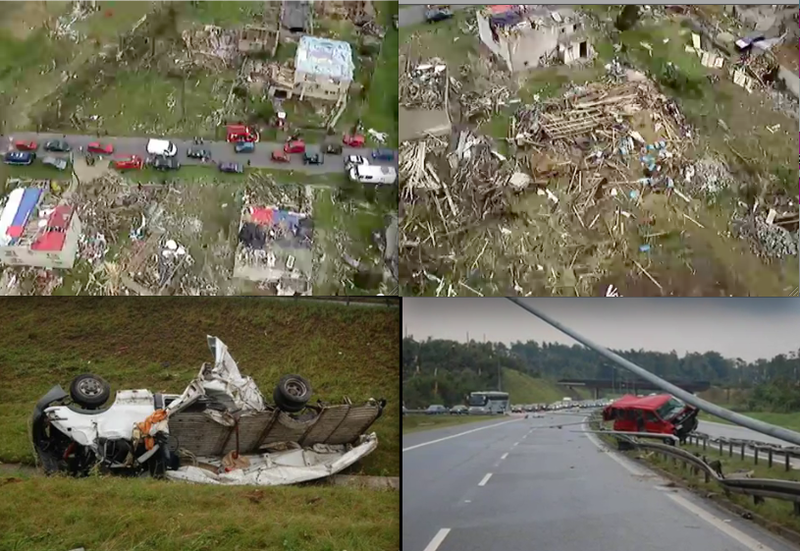 The deadliest tornado during the August 2008 tornado outbreak leveled homes in southern Poland. 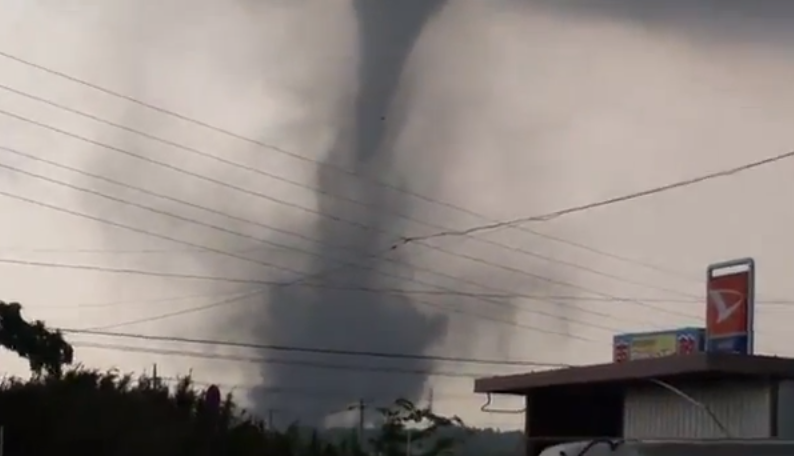 The tornado hurled vehicles through the air as it crossed a highway near the Slovakian border. Light-poles on the highway were bent to the ground. The Duduza tornado killed one person as it tore through rural areas outside Johannesburg. Video of the tornado shows rotation and structure possibly consistent with a storm of F3 or F4 intensity. 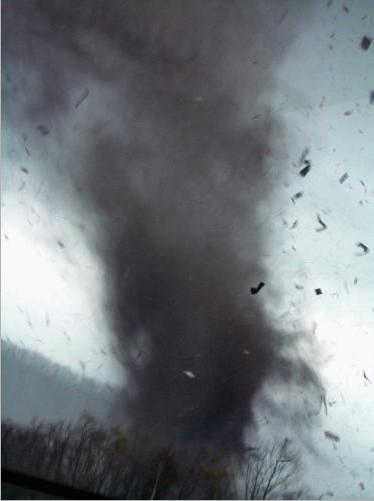 A strong tornado developed in rural areas east of Johannesburg in the spring of 2011. The powerful storm tore through a working class neighborhood and destroyed several dozen homes. Some of the buildings devastated by the tornado had thick stone walls that may have added significant structural strength, although the overall construction of the area was substandard. One person was killed and several more were injured. South Africa is one of the few areas outside the US that consistently sees powerful and deadly tornadoes. 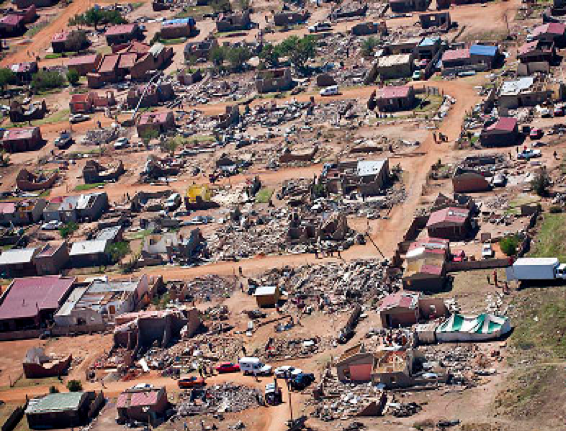 More than 100 people have been killed by tornadoes in South Africa since 1948. 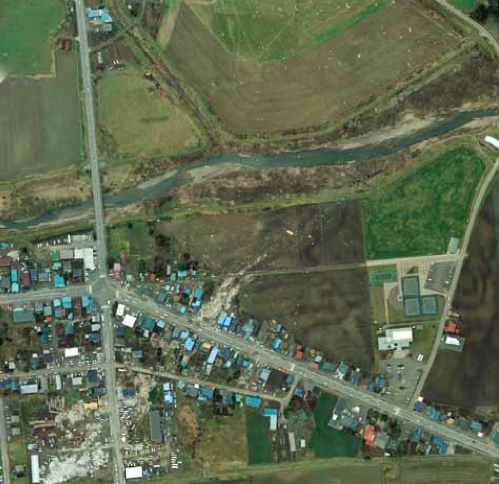 In 2012, a powerful tornado left a 10-mile path of destruction north of Tokyo, Japan. The narrow tornado swept over dozens of multi-level apartment buildings and caused more than $50 million in damage. In the late-spring on 2012, a supercell thunderstorm spawned a violent tornado that touched down northwest of downtown Tsubuka City, Japan. The tornado slowly intensified as it twisted through a rural area, uprooting trees and damaging agricultural buildings. Video evidence indicates that the tornado remained fairly narrow, less than 50 yards in width, as roared to the northeast at 30mph. The tornado reached F3 intensity as it tore through an industrial area, destroying wood homes and hurling cars through the air. A teenage boy was killed in the destruction of a home, and more than two dozen people were severely injured. 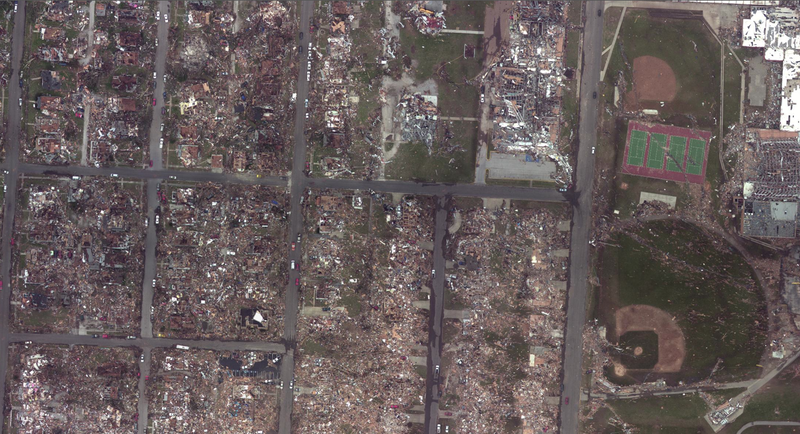 A damage survey later revealed that several homes were swept completely away, though the construction quality did not warrant an F4 or F5 rating. In one area, a home’s concrete foundation was ripped from the ground and flipped upside down (“Quick report on…”, 2012). 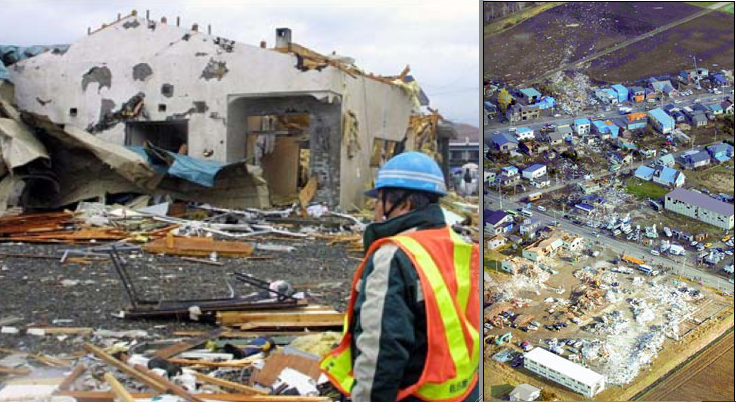 The severity of the damage was unprecedented in Japan, a nation where few storms surpass marginal F2 intensity. At left, the Tsukuba tornado swept a small home completely away adjacent to a five-story apartment complex that was severely damaged. 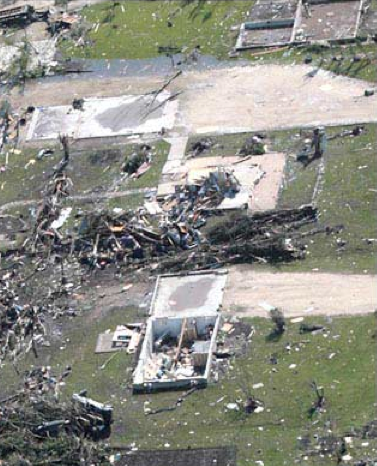 At center, the mat foundation of a destroyed home was uprooted from the ground by the tornado’s powerful updraft. At right, a tree was debarked – a damage feature rarely seen outside the United States. 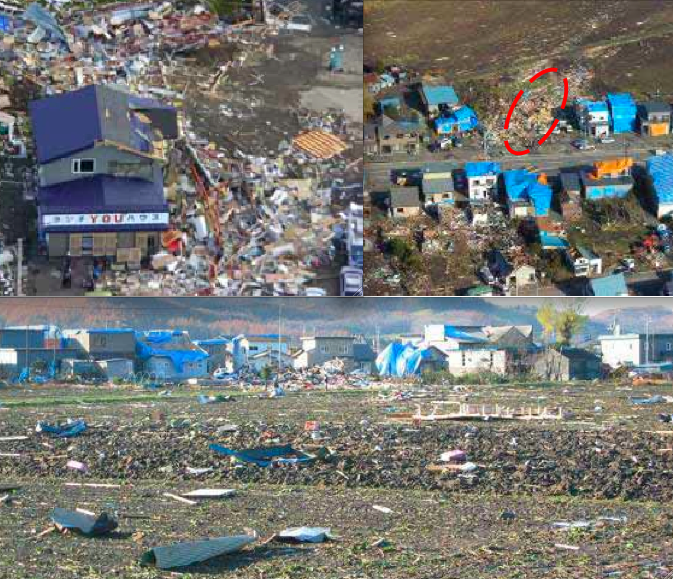 At center right, view of a home that was swept completely away by the Tsukuba tornado. The primary damage swath was often only 20 yards wide. The Hautmont tornado was very narrow at certain points in its life and yet strong enough to completely obliterate a two-story home. Most homes in France are built with substantially heavier materials than US homes and may require stronger winds to be destroyed. During the summer of 2008, a powerful supercell thunderstorm developed over the farmland of northern France. An intense tornado touched down and swept through 12 miles of agricultural land near the Belgium border. The hardest hit town was Hautmont, where three people died and several large homes were completely leveled. The death toll included the town’s deputy mayor and his wife, both of whom were killed when their large home was flattened. The worst damage was generally confined to an extremely narrow path less than 50 yards wide. One unlucky home was almost completely swept away while two neighboring homes remained comparatively unscathed. Additionally, large trees were stripped of leaves and branches and metal posts surrounding a soccer field were bent to the ground. 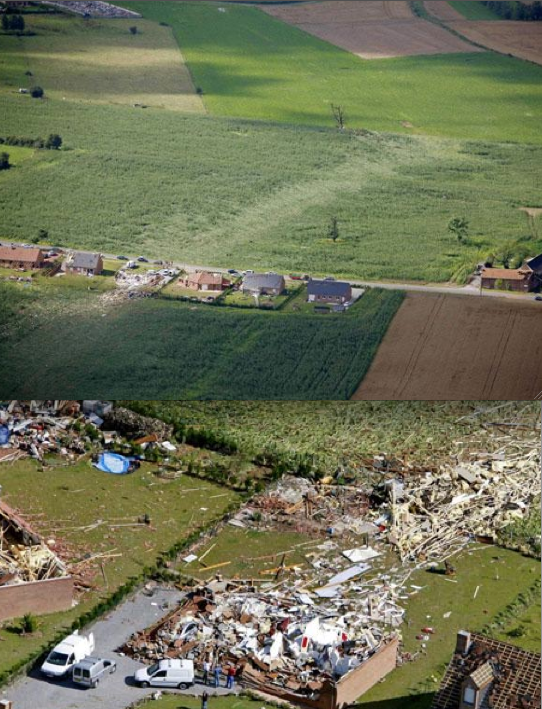 Some meteorologists believed the tornado deserved an F4 rating, but the ever-conservative French meteorological board gave the tornado an F3 rating. Outside the United States and Canada, the Hautmont tornado likely caused the most intense tornado damage ever clearly photographed. Heavy damage in Hautmont. Two fatalities occurred in the home at lower right. A second violent tornado formed in another massive supercell just south of the Barrie storm and devastated areas near Grand Valley. The Grand Valley tornado travelled 62 miles – the longest path ever surveyed in Canada – and was potentially even more violent than the shorter-lived Barrie tornado. The storm caused F4 damage and killed four people – two deaths occurred in destroyed homes, one in a vehicle and another man died of injuries in a destroyed shed. 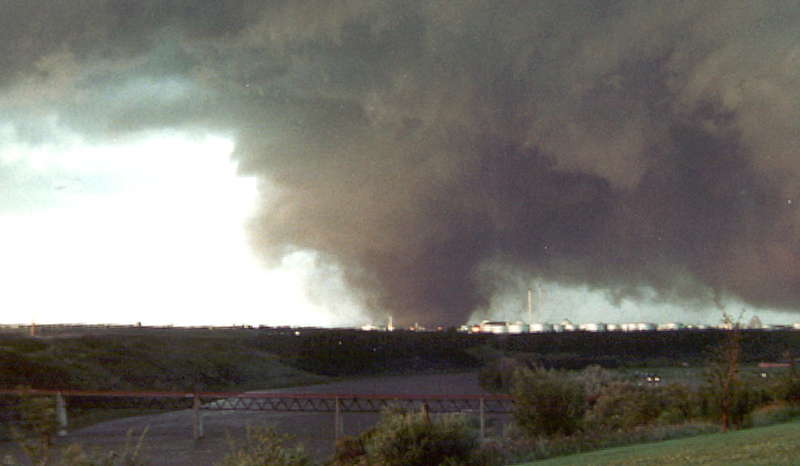 The most famous view of the Edmonton tornado of 1987. 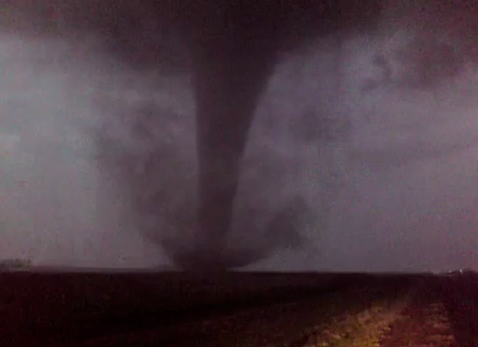 The massive tornado was remarkable for forming so far north – more than 300 miles above the US-Canadian border. The Edmonton tornado was massive even by tornado alley standards. It remains the northernmost violent tornado in history, and the second deadliest tornado in North America during the 1980’s. It touched down to the south of Edmonton in the community of Mill Woods and roared almost due north through eastern sections of the city. Had the tornado formed a few miles farther to the west, it may have become one of the deadliest and most damaging tornadoes in world history as it would have torn directly through the high-rise district of downtown Edmonton and impacted more than 10,000 homes at F4 intensity. The tornado was at maximum intensity as it passed through an industrial area, completely leveling dozens of large businesses and killing 12 people. The tornado then crossed the North Saskatchewan River and paralleled a housing subdivision, where dozens of homes were destroyed. Near the end of its life, the tornado narrowed and tore through the Evergreen Mobile Home Park, killing 15 people. Overall, the tornado caused 27 deaths and more than 300 million dollars in damage. 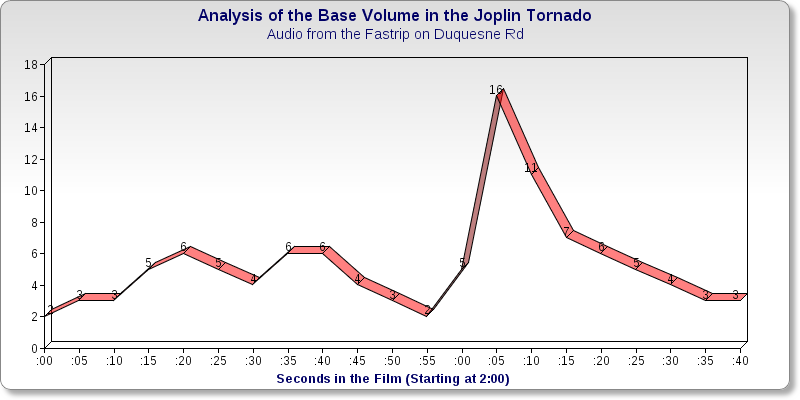 Some articles have discussed the possibility that the tornado may have reached F5 intensity. 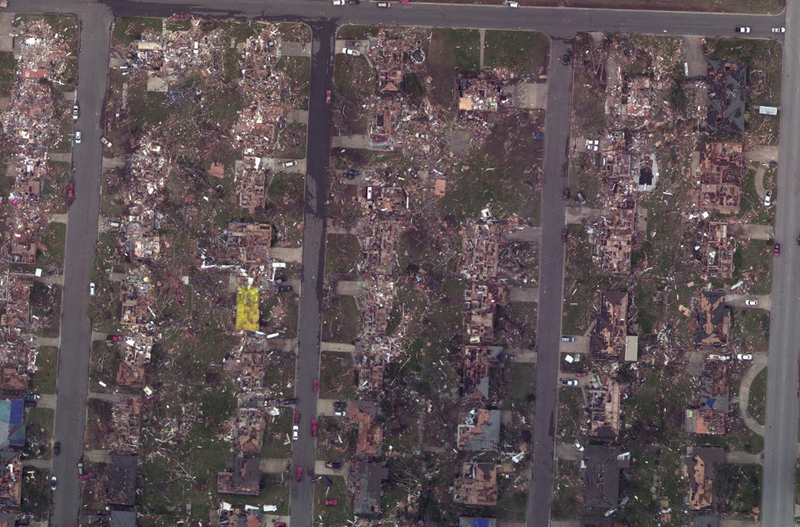 Most of the residential damage caused by the tornado was in the F2/F3 range, primarily because the tornado travelled parallel to a housing subdivision without ever actually passing through it. 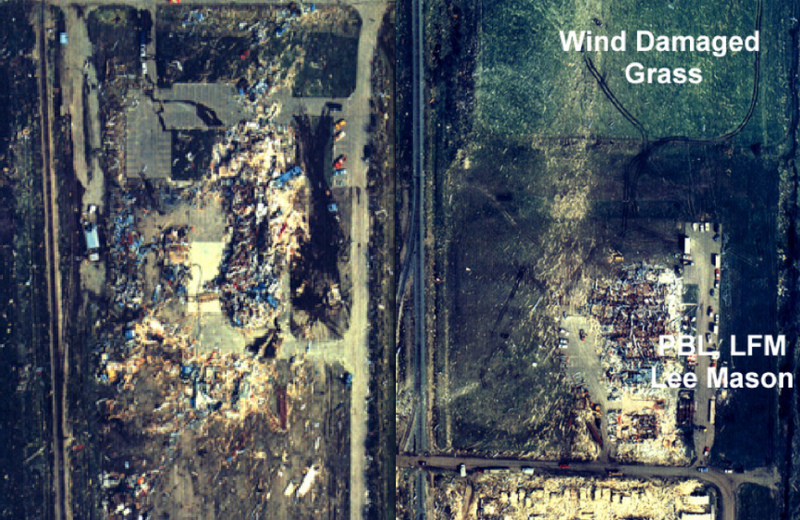 Damage in the industrial area was more intense and indicative of high-end F4 intensity. No homes were swept away and no vehicles were reportedly carried more than 200 yards, so it is unlikely the tornado will ever be upgraded to an F5. Two pictures of severe damage in the Edmonton industrial area. At left, the devastated Dillingham and Multech Construction Company. At right, a lumber company that was destroyed. The pronounced wind rowing north of the building is indicative of extreme winds. 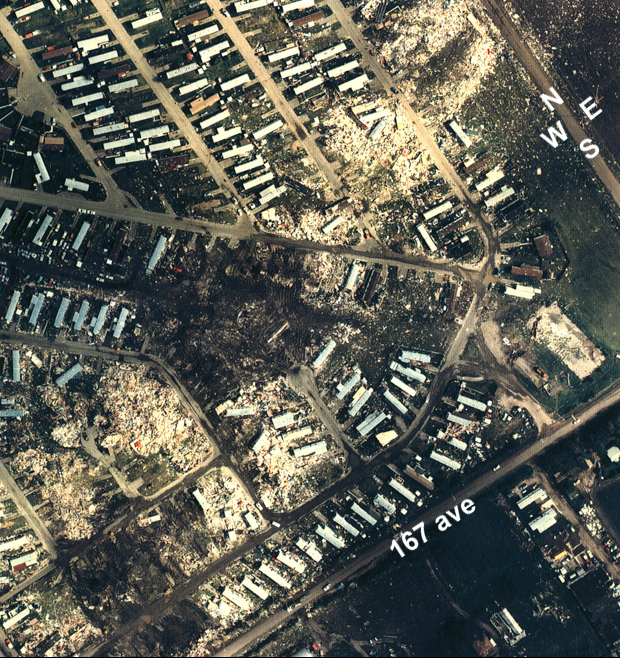 The Edmonton tornado had narrowed and was near the end of its life when it struck the Evergreen Mobile Home Park. More than 100 mobile homes were destroyed and 15 people were killed. 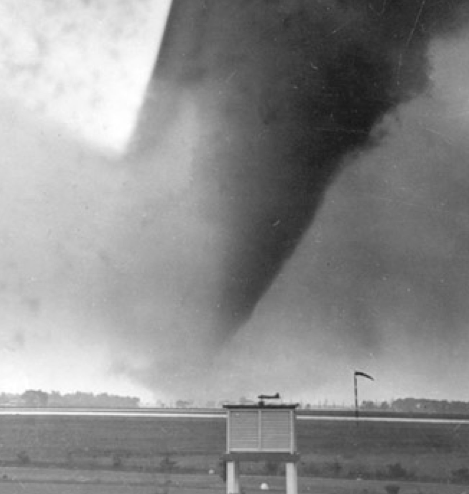 The Tecumseh tornado on June 17, 1946, was one of the strongest tornadoes ever recorded outside the United States. 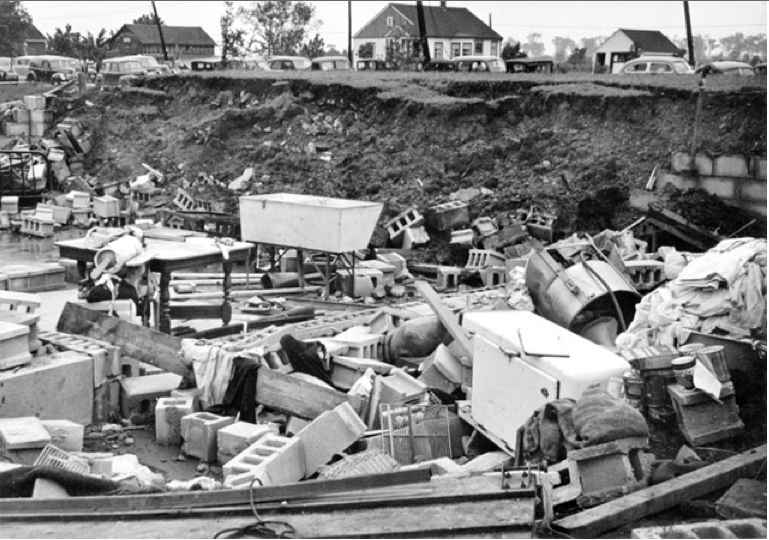 In 1946, an extremely powerful tornado swept through southwest Ontario and caused possible F5 damage in the town of Tecumseh. The narrow and fast moving tornado first touched down in Michigan and rapidly strengthened as it crossed the Canadian border. Seventeen people were killed as homes were reduced to bare foundations. There were multiple deaths in several households and many of the bodies were stripped naked and thrown more than 100 yards. Much like the Elie F5 tornado 60 years later, the Tecumseh tornado was extremely compact and powerful and never took on the “wedge” appearance common to violent tornadoes in the United States. When the Fujita Scale was developed in the 1970’s researchers attempted to rate past tornadoes via the available damage photographs and newspaper reports. 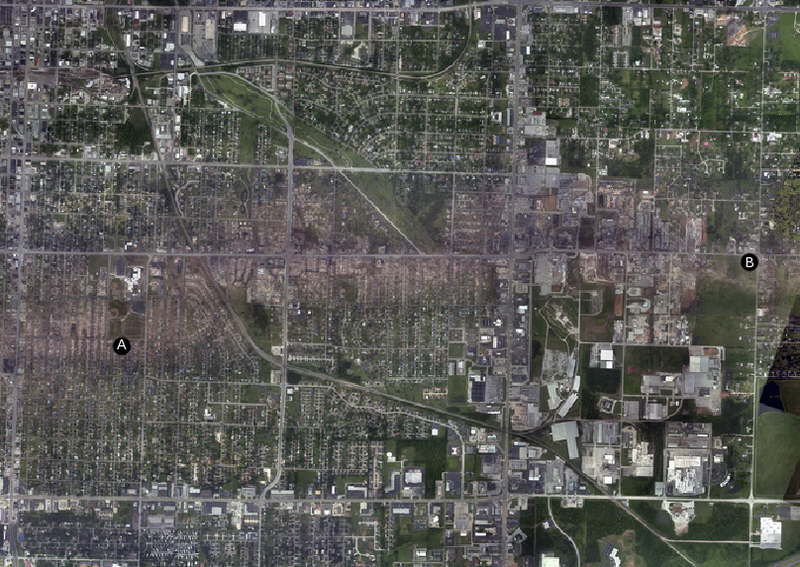 The Tecumseh tornado was given an F4 rating but left some damage indicative of F5 strength. One home was so thoroughly destroyed that even its underground basement walls collapsed and were partially blown away. 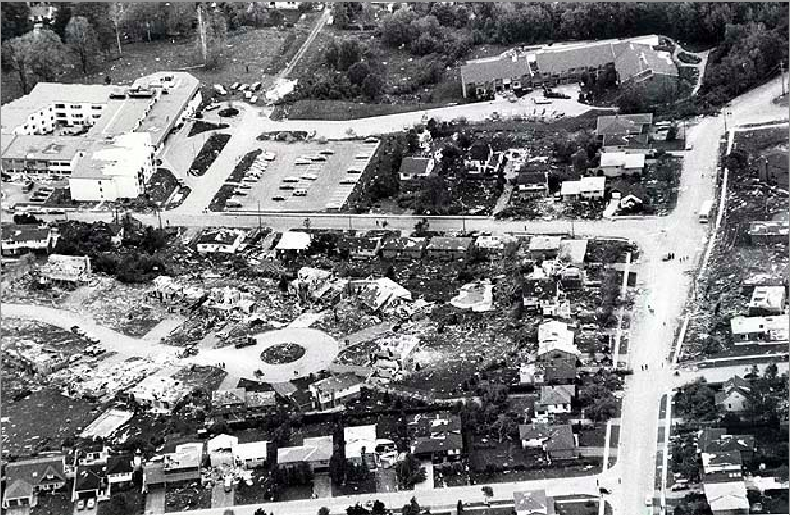 The home at upper left was destroyed and swept away in the Tecumseh tornado. View of a home that was completely destroyed by the Tecumseh tornado. The basement walls collapsed, causing a landslide of dirt to partially fill the empty cellar. Though the quality of construction is unknown, damage of this severity hints at possible F5 winds. The narrow tornado was very selective, leaving homes across the street with little damage. The Elie, Manitoba tornado was filmed as it ripped an entire frame home from its foundation and tossed it into the air. The tornado meandered around the town of Elie and rapidly strengthened near the end of its life as it narrowed and began to dissipate. The only tornado outside the United States that has officially been given an F5 rating formed east of Winnipeg, Manitoba, in the summer of 2007. The storm spun out of a low precipitation supercell and touched down a few miles northwest of the town of Elie. The tornado executed several counterclockwise loops as it meandered to the west of the small community. Near the end of its path, the tornado narrowed and intensified as it turned north towards a row of houses on Elie street. Video footage shows the violent tornado ripping one home from its foundation and lofting it into the air. The videographer also caught a van being hurled more than 200 yards from where it originated. Three homes were swept from their foundations, one of which was later determined to have been well-constructed. The complete destruction of the well-built home and the violent motion recorded on film were the basis of the F5 rating. 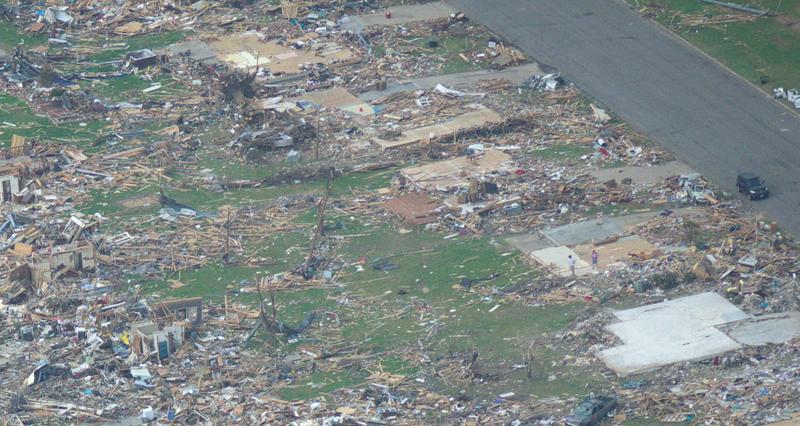 Aerial view of three homes that were obliterated by the Elie tornado. The empty foundation at top was the basis of the F5 rating. The tornado was executing a counterclockwise loop and entered the area from top right and exited at bottom. 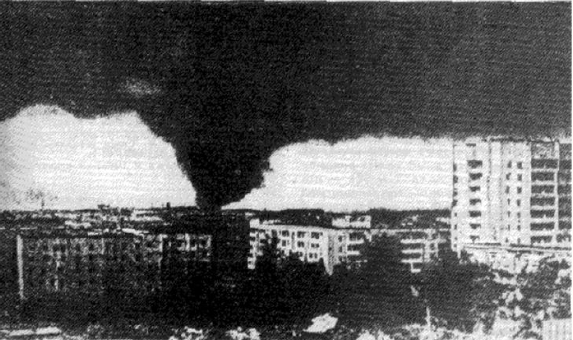 Next to nothing is known about the West Russian tornado outbreak of June 1984. 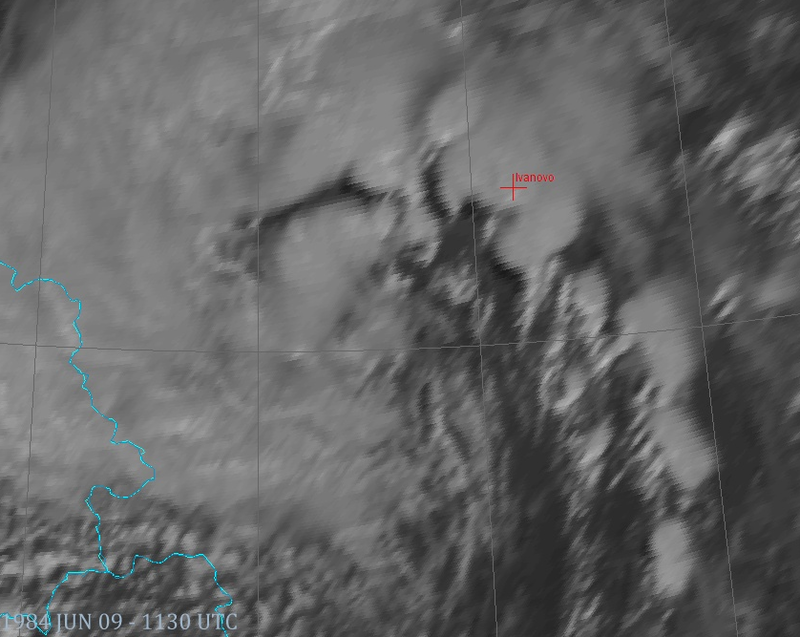 Satellite images show an impressive series of large and well formed supercell thunderstorms the day the outbreak took place in the vicinity of Ivanovo. Very little information is available on a violent tornado outbreak that swept through areas north of Moscow in the summer of 1984. The Soviet Union had not yet disbanded and few details were leaked to the international media, despite the fact that the outbreak occurred within the home video age. The outbreak was the result of a series of violent supercell thunderstorms that travelled north-northeast at speeds greater than 50mph (Finch and Bikos, 2012). Local newspapers reported that massive hailstone, some over 2lbs in weight, fell over the affected areas. Sources indicate that 400 people were killed, with most of the fatalities likely the result of a single tornado that tore through the town of Ivanovo. 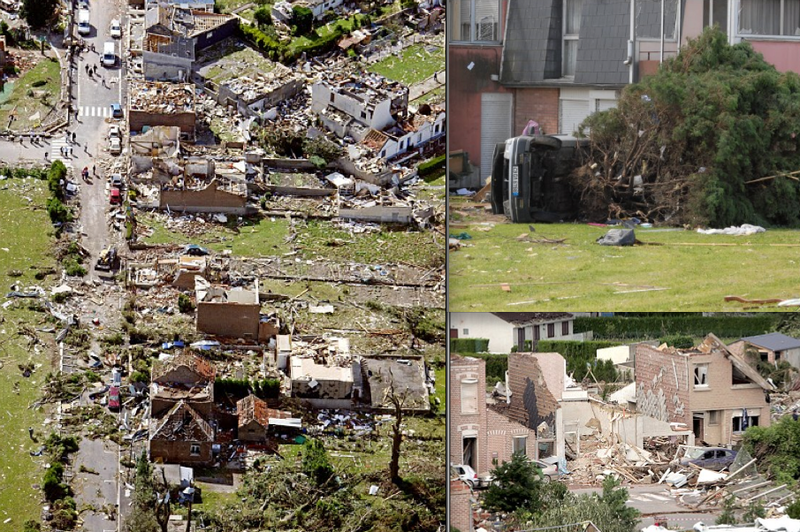 A French research article describes how the tornado threw cars long distances, lifted a 350-ton operating crane and leveled “steel-reinforced” buildings. According to the same article, the Russians unofficially awarded the tornado an F4 rating, although some of the damage was indicative of F5 strength. The article also states that another tornado that affected the town of Kostroma was given an F4 rating but may also have reached F5 strength. An english-language article describes how the Ivanovo tornado scoured pavement from a highway and hurled a 120,000lb water tank several blocks. Archived satellite images from June of 1984 show an impressive severe weather set up reminiscent of large outbreaks in tornado alley. If the reports are all true, then the outbreak was an unprecedented event and astoundingly violent for an area generally accustomed to tornadoes only capable of inflicting F1 and F2 damage. 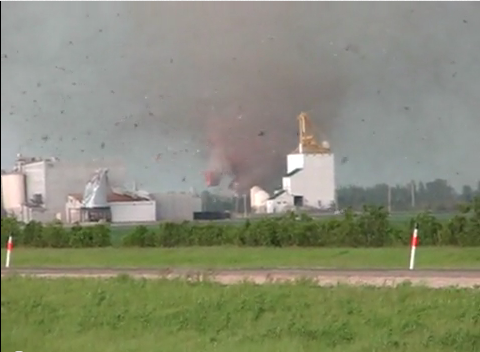 Pavement scouring and the movement of massive industrial equipment is likely indicative of winds of F5 intensity. At the same time, media reports from the former Soviet Union are notoriously unreliable, so the available information is by no means “proof” that the outbreak produced tornadoes capable of causing EF5 damage. □ Over a long enough time scale, over many generations, violent tornadoes undoubtably touch down in every corner of the unfrozen world. Rotating supercell thunderstorms have been documented via doppler radar off the coast of the Hawaiian Islands, far from any traditional continental severe weather setup. The chances of an F5 tornado forming over the open ocean, or England, or Japan, or the rest of the non-arctic landmasses is exceptionally small. But weather patterns, and extreme natural events, are sometimes separated by hundreds, thousands, or even millions of years.